According to latest BiH Border Police (BP BiH) information, from January 1st to March 25, officers found 749 nationals of high-migration-risk countries during attempted crossing activity, or immediately after having illegally crossed the state border. The number proves significant increase in comparison with the same period in 2017. Some 847 immigrants were prevented from entering BiH, due to the engagement of the police along the borderline with Montenegro and Serbia, while they were trying to cross into BiH. “Of the mentioned 749 illegal migrants, 157 were found in January, 315 in February, and 277 until March 25. At the same time, of the mentioned 847 persons, 125 were prevented from illegally crossing the state border at the very borderline, 309 were discovered in February, and 413 persons were stopped from crossing up until March 25,” BP BiH announced. BP BiH officers keep taking a series of preventive and repressive measures as state border surveillance is of the utmost importance. Due to the registered, large number of cases in which smuggled migrants were found inside -usually at the back or under- road freight vehicles, one of the measures the in depth control and obligatory inspection of all trucks. The latest such cases were registered on March 23 in three separate incidents. Bijeljina Border Police Unit found 13 migrants (four nationals of Pakistan, two of Nigeria and seven of Afghanistan), at the Rača and Popovi International Border Crossings. During the night of March 26, seven undocumented persons were discovered hiding in a freight train wagon at the International Railway Border Crossing of Zvornik. The Border Police Unit were told they were from Bangladesh. In the previous period, the largest number of illegal migrants were found in Trebinje, Višegrad, Zvornik, Bratunac, Gacko, Velika Kladuša, Bijeljina and Bihać, and a small number in the areas of Brčko, Foča, Posušje, Čapljina and Grude. Migrants are going through BiH in order to reach Europe. 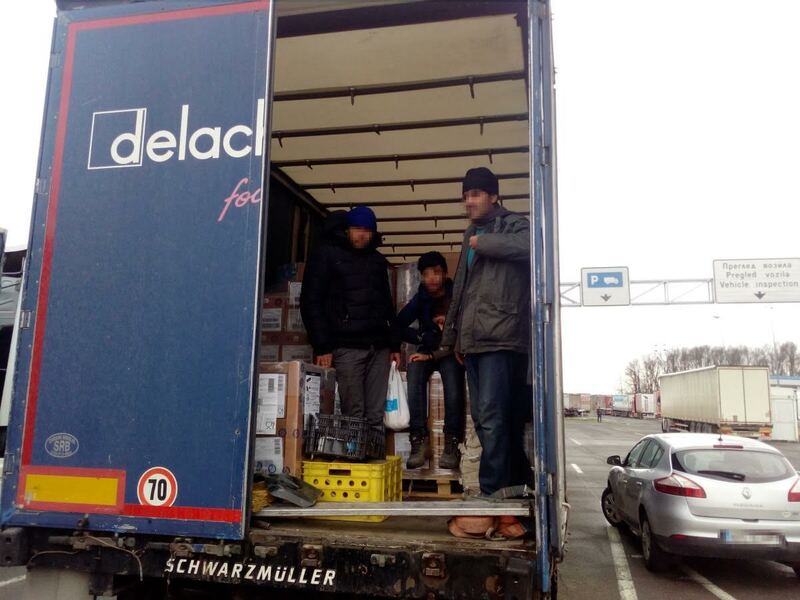 Due to the fact that they do not speak the language, quite often, not even English, they are easy prey to lorry drivers who leave them helpless in the middle of Bosnia, after having told them that they have reached Europe. For such “help” they also ask them for money, leaving them literally penniless. Recently one group of migrants told police that after a whole night’s drive, the man behind the wheel convinced them they were in Italy.